The Cavalry Club features a world-class 18 hole golf course offering a challenging, yet pleasurable experience for all levels of golf. Please click on the tee number below, to review its scorecard. The opening hole at Cavalry Club is a straight-away Par 4. Off the tee, there are two fairway bunkers and a pond down the right side. 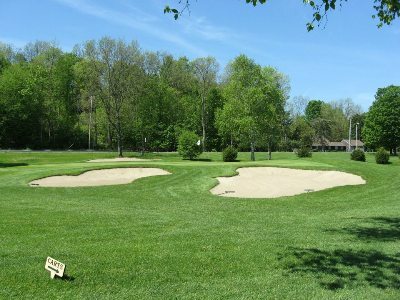 An accurate tee shot will leave a mid to short iron shot to an elevated green protected by multiple bunkers. The Par 4 second hole requires an accurate tee shot to a narrow landing area. 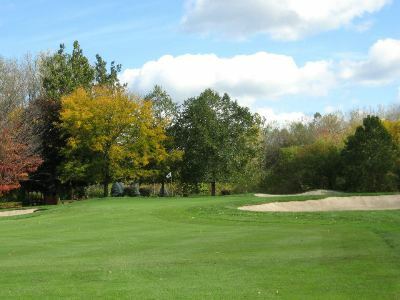 Trees guard the right side of the fairway, while a small fairway bunker will penalize an errant tee shot to the left. 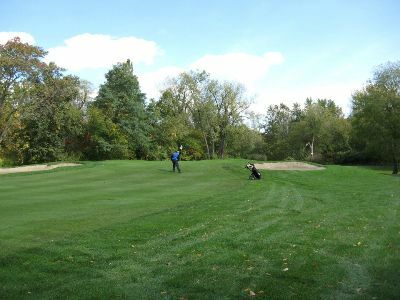 An accurate approach shot with a mid to long iron is required to avoid any of the three bunkers surrounding the green. The third hole is the most challenging of the Par 3's at Cavalry Club, with two very large, deep bunkers fronting this elevated green. Depending on the pin position, you can be left with a severely sloped putt on this difficult to read green. The Par 5 fourth hole presents a great birdie opportunity, especially for the longer hitters. 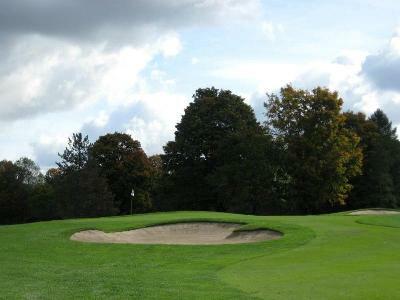 With trees to the left and fairway bunkers protecting the right side, an accurate tee shot is necessary to have any chance of reaching the green in two shots. 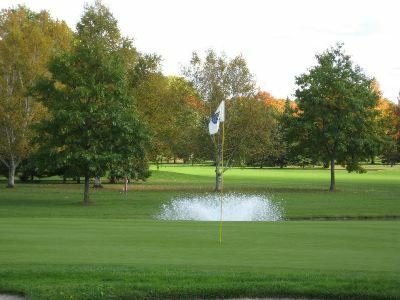 This narrow green is guarded by two bunkers in the front of the green and a large pond to the right. This short Par 4 requires an accurate tee shot to avoid trees to the right and left. A long iron or hybrid is the ideal club for this tee shot and will leave you with a mid to short iron approach shot. The green slopes right to left and is protected by a front and back bunker. Avoid hitting your approach left of the green as it drops off severely and your ball will likely kick left into the woods. 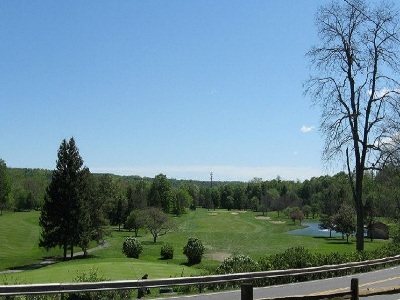 This beautiful Par 5 begins with a picturesque tee shot from high above the fairway. 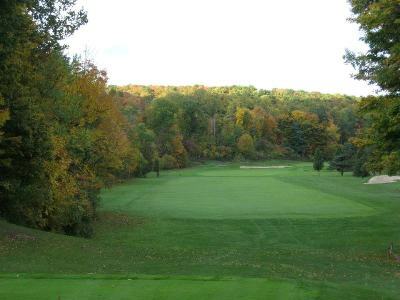 Trees line the right side of the fairway with Limestone Creek lurking behind them. The left side is protected by trees and two fairway bunkers. 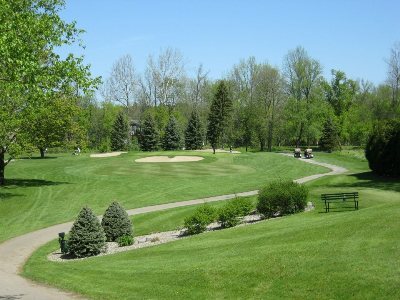 A well struck tee shot will leave an opportunity to get home in two, but you must avoid hitting to the right, where the creek runs along side the entire hole. A pin position in the back left could leave you with a ticklish downhill putt. A straight away Par 4 with bunkers protecting the left and right side of the fairway and trees well right. An accurate tee shot leaves a mid to short iron approach to a severely sloped green guarded by multiple bunkers. Miss long and you will have a very difficult time making par. The eighth hole is a medium length Par 3. A mid to long iron will be required to hit the green, which is guarded by three green-side bunkers. 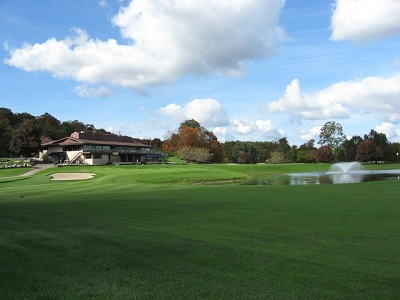 Cavalry Club has two of the best finishing holes in Central New York. Heading back to the clubhouse, the Par 4 ninth hole is fairly long and normally plays into a prevailing wind. 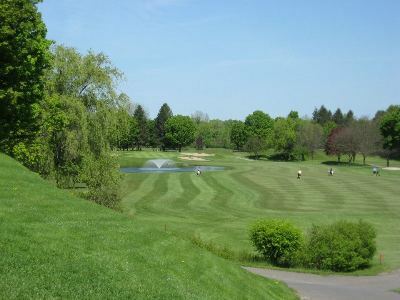 Hitting the fairway is a must and will leave longer players with a mid to long iron shot to a green protected by a bunker on the left and a pond on the right. Shorter hitters may need to lay up on their second shot and hope to make par, which is a good score on this very challenging hole. Another scenic tee shot, this short Par 4 requires less than a driver to avoid the pond to the left. A long iron or hybrid will leave a mid iron approach to an elevated green. 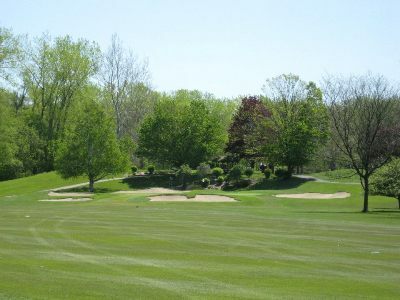 The green is guarded by a bunker in front, a bunker right, and the course's largest bunker to the left. Depending on the pin placement, you could be faced with a very slippery and sloped putt. The eleventh hole is a long Par 4 with out-of-bounds down the left side and generally plays into prevailing wind. An ideal tee shot would avaoid the fairway bunkers on the left, leaving a mid to long iron into the green. The green is protected by bunkers on the right and left sides and out-of-bounds along the left. 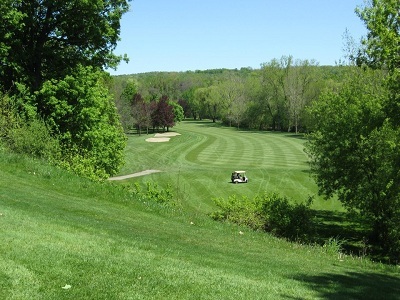 This severe dogleg left Par 4 has trees lining the right side of the fairway and a lateral hazard to the left. For the best angle to the green, a tee shot down the right side of the fairway is ideal. Longer hitters can take advantage of the downward slope of the fairway if they strike their tee shot accurately. 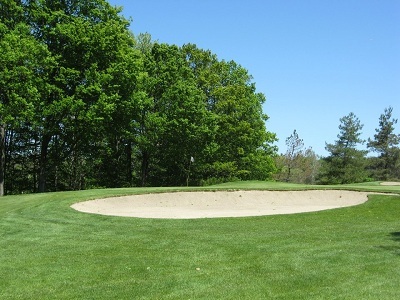 Avoid one of the three green-side bunkers and you should have a great opportunity for birdie on this hole. Club selection can be difficult on this short, downhill Par 3. The wind can make it difficult to hit the green, which is protected by a bunker in the front, left and back. Hit the green and you should walk away with no more than a par. 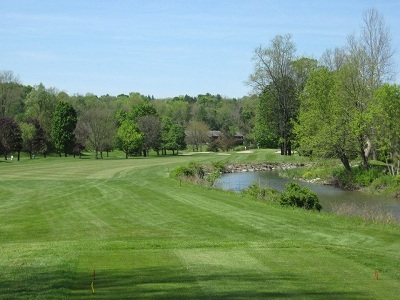 The Par 5 fourteenth hole brings Limestone Creek into play once again. The lateral hazard runs the length of your tee shot down the right side of the fairway. This dogleg right sets up perfectly for those who fade the ball off the tee and is reachable in two for longer hitters. With out-of-bounds right, an accurate second shot is key whether laying up or going for the green. Bunkers guard the slightly elevated green and if you go long you are faced with a challenge to get up and down. The Par 4 fifteenth hole is a dogleg right and plays longer than it would appear. 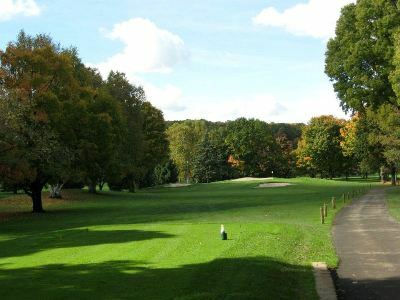 The back tees present a challenging tee shot for those players who like to draw the ball, with tall trees along the right side of the fairway. A lateral hazard lines the right side of the hole from tee to green. Hit the fairway and you are left with a mid iron shot to a green surrounded by green-side bunkers. 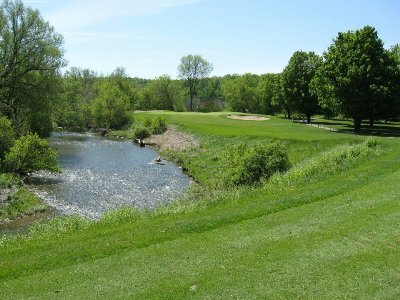 The last of the Par 3's, this beautiful hole requires a mid iron shot over Limestone Creek to a large green, offering many interesting pin placements. A shot hit left of the green is likely to kick off the back into the hazard. Two green-side bunkers accompany this undulated green. The seventeenth hole at Cavalry Club is a monster Par 5, nearly 600 yards. Most players will need to hit three good shots to hit the green in regulation. After a well hit tee shot, players will hit their second shot to a narrow landing area lined with trees down the left side of the fairway. 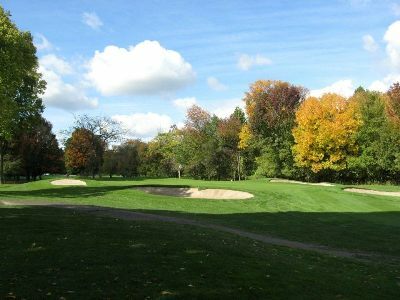 You will most likely be faced with a mid iron approach shot to this large elevated green that slopes from back to front. 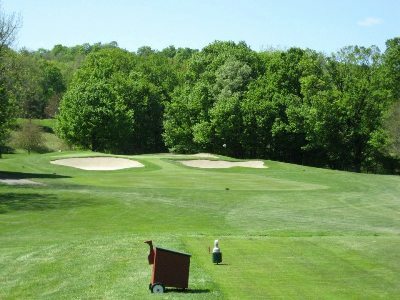 Considered one of the best finishing holes in the area, the Par 4 eighteenth hole requires a solid tee shot to a narrow fairway. Two fairway bunkers collect tee shots to the left of the fairway and a large oak tree can knock down a shot hit off to the right. A fairly long approach shot must carry over the pond and avoid the bunkers to the right. You don't want to come up short or to the left as your ball is very likely to kick off the bank and into the pond. This undulated and fairly sloped green can leave players with very difficult putts.